Motorcycle accidents are often fatal or cause catastrophic injuries because the rider almost always strikes the roadway with great force. In most cases, the only way to stop serious injury from happening is to prevent the accident from happening in the first place. While driving defensively may work with sober car and truck drivers, a motorcycle has virtually no ability to avoid a drunk driver because the intoxicated driver’s motions are completely unpredictable. Drunk drivers and those who knowingly serve them should pay for the deaths and devastating injuries they cause. Our Atlanta drunk driving lawyers understand the complex nature of these cases. At Harris Lowry Manton LLP, we understand how to work with the police, how to use criminal convictions in civil cases, when you can collect from your own insurance company, and who else might be liable. If you were injured or a loved one was killed in a motorcycle accident caused by a drunk driver, we are here to help. Drunk drivers may speed, run red lights, drive in the wrong lanes, and swerve in and out of traffic. They fail to look out for other drivers and do not anticipate that there will be motorcycles on the road. It is not necessary to prove that the driver was intoxicated at the time the motorcycle accident occurred. All that is required is showing that the driver was negligent. Still, our Atlanta motorcycle accident lawyers work to show the driver was intoxicated so that we can claim punitive damages on behalf of our client. A criminal conviction can also help expedite the insurance payments under an uninsured or underinsured motorist policy. Georgia has a dram shop law that provides that the victim of the motorcycle accident can hold a seller (such as a tavern, liquor store, or restaurant) liable if the seller knowingly served someone who is noticeably intoxicated or willingly served a minor under 21 — provided the seller knew the driver was going to operate his/her vehicle. Social hosts can also be held liable under the same conditions. 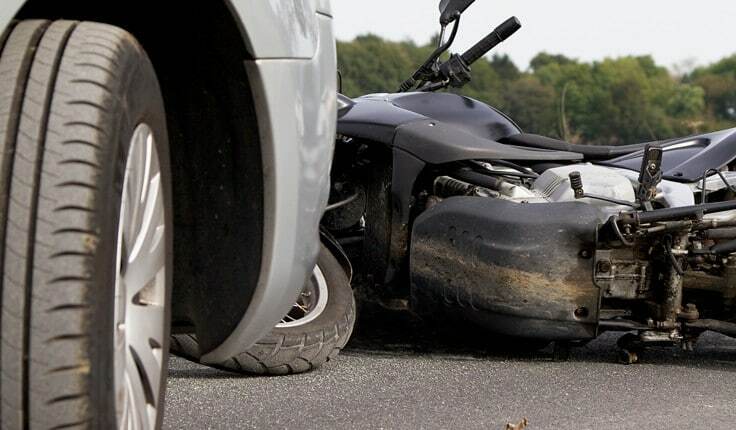 Owners of the vehicle that struck the motorcycle can also be held liable if they knowingly let someone who was intoxicated drive the vehicle. When a drunk driving accident kills a motorcycle rider or severely injuries the rider or their passenger, it is important to contact one of our experienced Atlanta drunk driving accident lawyers. The police will begin their prosecution immediately. It helps to be able to coordinate the civil case with the criminal case. At HLM, we fight to get victims and families every dollar they deserve. You can reach us in Atlanta at 404-998-8847 or in Savannah at 912-417-3774. You can also schedule a free initial consultation by completing our contact form.